We recently did a marketing survey for our current students and parents of students here at Studio 27, and boy, were the results insightful! One of the main interests of our students’ and their families was that they would like more insider tips on how to book those gigs. The truth is, we can’t wave a magic wand over this blog post whereupon reading it, you’ll magically start booking out - BUT, as someone who has worked in film in nearly every capacity for almost 9 years and in theatre for almost 17 years, I can tell you what the other side of the table IS looking for! Dress to impress. In LA, actors wear audition outfits that reflect the character they’re reading for. You may have to read for multiple characters, but come dressed as the OG characters you’re reading for, and the auditors will be super impressed! Be polite. Respect your auditors time - they have hundreds if not thousands of other actors to review! And they’re in charge of whether or not you book, not you. Don’t act like you’re above the audition, even if it’s low-budget or not SAG. Thank the auditors when you’re finished. Be off-book. You can have your script for “safety,” but as off-book as you can be. Don’t shake hands. It’s cold and flu season - yuck! Don’t spread germs by shaking hands, unless the casting directors initiate a handshake. Be nice. You can chat with the other actors in the holding area. No need to be snobby - you never know who’s going to make it big! Be humble. Be direct about your experience, but no need to name-drop. Be prepared. Bring AT LEAST two copies of your headshot and resume - bring a commercial AND theatrical headshot, if it makes sense for the role. Make sure resumes are stapled to the back of your headshots. Turn your phone off. Seriously. No one is going to appreciated a ringtone or buzz during your audition. Listen (and take) direction! If you get direction after a read, it’s a good thing. Trust us. Do your research. Do your character work before you walk in. Come prepared with smart questions. Learn all you can about the auditors/casting directors and the production company. BONUS tip: Relax. No one wants you to be nervous - you’re there to interview them for this job, too! And have a BLAST! Posted on November 7, 2018 by Girl.Copy and filed under Audition and tagged audition how to audition how to book the audition. You landed an audition - congrats! You have already won half the battle - trust me. This is coming from someone who has been on both sides of the casting table, and who has worked with many, many people in casting; if you get an audition, you've booked that audition against hundreds, if not thousands of people. But what are the next steps to actually booking the job? This is probably the #1 question on any actor's mind, no matter how long they have been in the industry - you could have started as a kid, and you would STILL wonder why some actors book, and others don't! The good news is, there are ways to kill an audition - in a good way! Meaning, you can walk out of the room or turn off the camera knowing that you did a great job, no matter what the casting director decides. Read on to discover our best tips and tricks for nailing that audition. If you're auditioning for a theatrical show or film/TV production in-person, enter the room with a BANG! What that doesn't mean is slamming the door open and announcing yourself; no, we're talking about walking into the room in a semi-circle. It's much easier shown than stated, but try this at home: create your own marker on the floor, whether with painter's tape or an object. Enter the room, and make a C-shape curve with your walk over to your mark. In an actual audition room, the camera would be in front of you, usually with a table of people behind it - these are usually the casting directors, producers, and perhaps the writers or director themselves. Basically, you're drawing attention to yourself and making an entrance without being overly dramatic. Walking in this way creates an interesting eyeline for your CD's, and it may perk them up after a long day of auditioning hundreds of other folks who look just like you! Remember - keep it interesting, keep it fun! If you're self-taping, making an entrance isn't really possible, since the first thing the CD's will see is you, on-camera. However, you can still "make an entrance" without actually entering! Whether your slate is at the beginning or the end, keep it positive and upbeat - remember, you're not only selling the character, but selling yourself. The auditors want to see that you are going to be a fun, cheerful person to be around on-set - they do not want to deal with a drama queen (or king). Also, start off your scene in an unexpected way - the point of you reading for this character is to put yourself into the character, not do what you think the CD's want to see or hear. 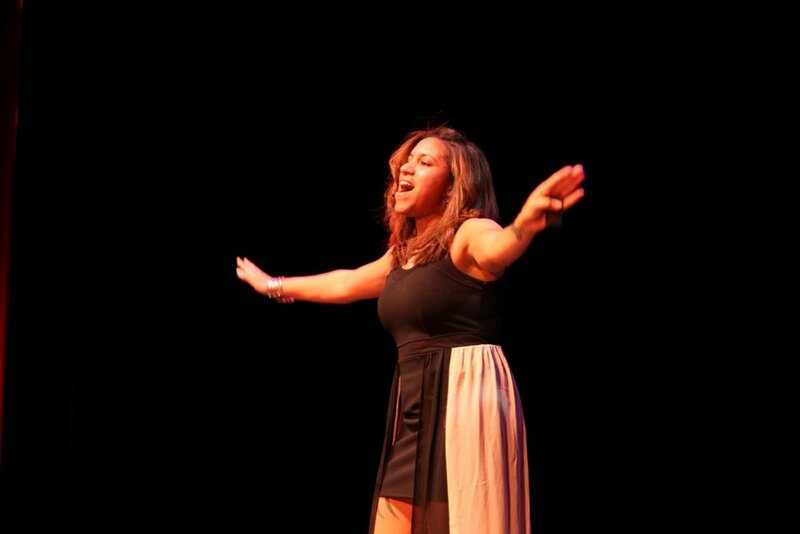 Bring your own essence to the audition, and it's bound to be uniquely you - THAT'S what CD's always want to see. This generally goes without saying, but - no touching! Don't shake hands when you walk into the room, as it's viewed as an audition no-no. This is because we don't know where each other's hands have been, and hands are a germs festering ground. You may view it as polite, but 9 times out of 10, CD's will view it as an amateur error. So - no touching, unless the CD's reach out to shake your hand! In that case, shake away! Remember, you can still be polite without touching anyone. Make your entrance, and be confident, polite, and calm. Greet the auditors, and act excited to be there - think of it as you're there to meet new friends who have your best interests at heart. After your audition, always make sure to thank your auditors - again, with the politeness! You can't go wrong. Even if it's not required, if you have the time, come in with your sides memorized (unless, of course, it's a cold read). BUT don't let the fact that you're off-book (or, fully memorized) take away from the fact that you are AWESOME at taking direction! And don't let it throw you if the auditor asks you to read in a different way, or asks you to improv. That's actually a good thing! It means that they think you're interesting, and want to see more. Additionally, don't feel discouraged and walk away grumpily if they dismiss you after one read - remember, take everything that happens during an audition with a grain of salt. This is a job interview - there is no risk involved. It's only practice. And no one wants to see you walk away defeated! While this could be your next big gig, neediness or desperation is not attractive on anyone. Again, be confident - if this one doesn't work out, it's just onto the next one! Plus, sometimes one read is all the auditors need to see to know that they want you - it's rare, but it's happened to me, i.e., I've gotten cast after one reading. Take heart, and keep going! 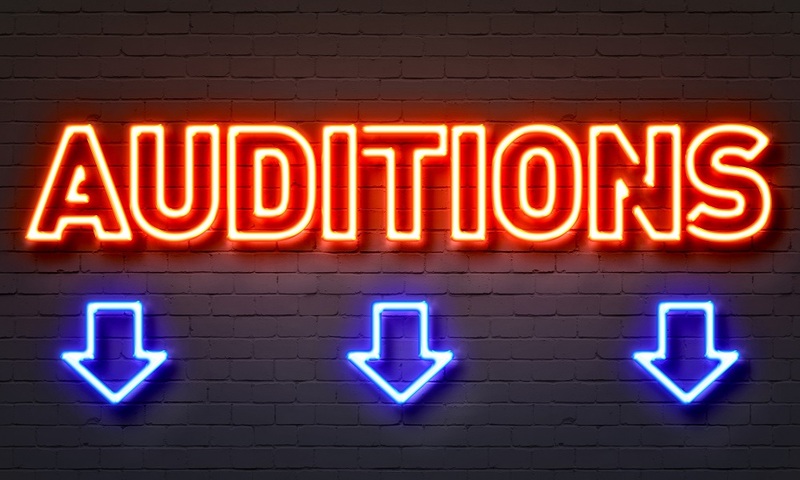 Tell us in the comments some of your best (and worst) audition tales! Posted on July 23, 2018 by Girl.Copy and filed under Audition and tagged audition how to book talent acting actor film tv television casting actors access 1800casting backstage how to book the audition how to audition casting director CD director production producer.